LIKES : fame and recognition, personal privacy, rainbows, dreams, magic, change for its own sake, eccentricity, surprises, and living within their means despite the many temptations which constantly surround them every waking moment. DISLIKES : emotion and intimacy, people who show off, being taken for granted, being pinned down, violence and fighting, and senseless or purposeless extravagance of any sort. You are generally without prejudice and quite tolerant of others’ point of view. They are good listeners, and care deeply for their friends. To people they are not close to however, they can be somewhat detached. The Aquarius sun sign is true blue and loyal. They are one of the first to sign up to server their country, and will give their lives defending her. A typical Aquarius has the attribute of intense desire to communicate. You are a bit tactless and rude if you don’t learn to moderate your constant broadcasting around those whose opinions may be a bit more on the conservative side. You are interesting and attractive. You can be shy, sensitive, gentle and patient or enthusiastic and lively with a tendency to be exhibitionists. Both types are strong willed and forceful in its own way. You are very opinionated with strong convictions and fight for what you believe. You are farsighted and innovative. They can be counted on to come up with original ideas. They make good designers and inventors as well as musicians. These intellectuals excel in the arts as well as the technical trades. You cherish and guard your independence and are a strange mixture of caring concern and cool detachment. You will go out of your way to help when needed but will never get emotionally involved. You are truly humane and known to be frank and outspoken. You are refined and idealistic, romantic and practical, personable and likable person. Being quick in mind and responding, you love activity and are quite reasonable in that. It can be pure in color or may contain secondary minerals. If the matrix forms a pattern of interlocking polygons it is called “spider:web” turquoise. The beautiful Turquoise is STAR GEMS of Aquarius. The name comes from the French “turquoise”, which means “Turkey”. It is the symbol of total independence and asserts the freedom of an individual from all restriction and restraint. It is a breakthrough planet and indicates talent, originality and genius in a horoscope. 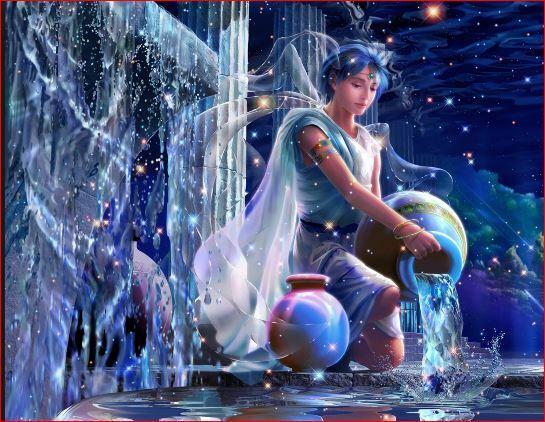 Uranus is the RULING PLANET of Aquarius an air sign. It brings a new way of looking at things and its approach is best met with an expanded consciousness. Uranus rules unexpected change, upheaval, revolution. Next story How to Make Badam Ka Halwa Recipe?